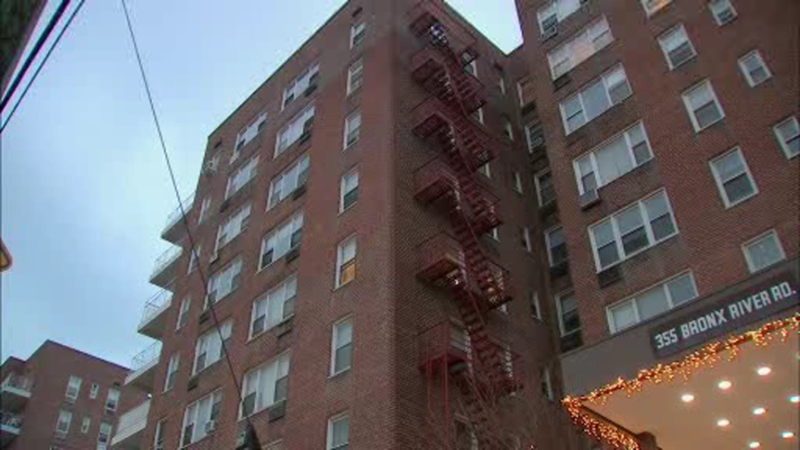 YONKERS, New York (WABC) -- Firefighters in Yonkers pulled a teenage girl from a burning apartment Christmas morning. Authorities say the 16-year-old girl was sleeping in a rear bedroom when the fire broke out at about 10 a.m. on Bronx River Road. While one firefighter held the blaze in check with a fire extinguisher, two others crawled past to reach the girl who was trapped. An air mask was placed on her and she was taken to Jacobi Medical Center to be treated for smoke inhalation. She will remain overnight for observation. One of the firefighters suffered a laceration to his head and smoke inhalation, but is expected to be released. The fire started near a sofa and spread to a Christmas tree. It was extinguished after about 90 minutes. The blaze is still under investigation but it appears to have been accidental, according to the Yonkers Fire Department.